The Russian military has successfully tested a new hypersonic weapon, currently known as "object 4202." Defense analyst Victor Litovkin told Radio Sputnik that the cutting-edge warhead is expected to be fitted onto the Sarmat intercontinental ballistic missiles (ICBM). "This was the second test of hypersonic warheads for the Sarmat. The first was carried out several months ago on the Kapustin Yar site," he said. Litovkin explained that the latest test was conducted using the R-36 Voevoda ICBM. The Sarmat liquid-fueled, MIRV-equipped, super-heavy thermonuclear armed ICBM is meant as a replacement for the R-36 family. The first image of the new missile was unveiled earlier this month. "Technical characteristics of the [new hypersonic weapon] are classified, but I can assume that there are up to 20 independently targetable warheads. Each of them has its own flight program. 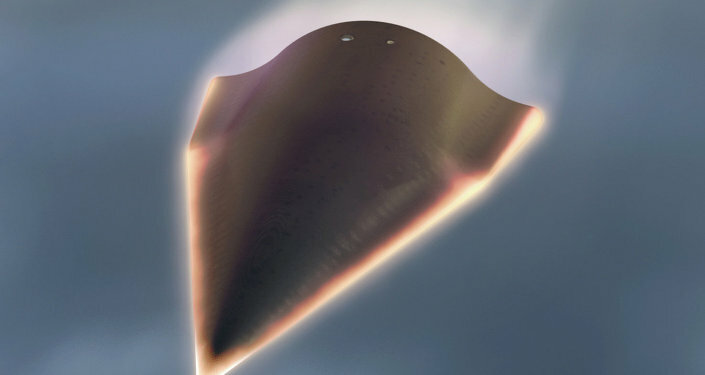 They fly like cruise missiles but at hypersonic speeds," he detailed. "People in Siberia mistook them for meteorites." The new Russian-made weapon is capable of accelerating to a maximum speed of 15 Mach (7 kilometers per second). It is intended for the most advanced intercontinental ballistic missiles in Moscow's arsenal. The warhead was created using solely Russian-made components, including on-board equipment, electronic components and the guidance system, an unnamed source at the Roscosmos State Corporation told Izvestiya. Litovkin further said that "object 4202" has been in development since the Soviet era, but initial concepts and ideas were not completed before the end of the Cold War. "The fact that all of this has been restored, that it is working is great. We are standing on the shoulders of giants. It's great that we have these founders and we can use their research to ensure national security," he said. The defense analyst pointed out that Russia is spending ten times less that the United States on defense, including research and development. "Nevertheless, we have produced weapons that bring the entire US missile defense system to nothing," he said. "Today we have new means of penetrating air defense complexes that we can be proud of. Not a single missile defense system [in the Pentagon's arsenal] will be able to withstand our missiles. Let Americans, if they want, throw money down the drain," he said.